Don�t miss a minute of the county football action! 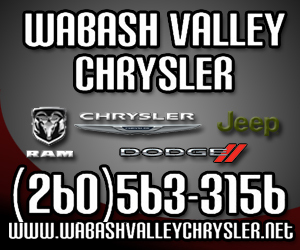 The Wabash County high school football teams are very competitive this season as evidenced by last week’s scores. Wabash lost a tough road contest at Whitko 30-24. Southwood lost by a single point to Rochester, 27-26. Manchester won by a single point at North Miami, 34-33 and Northfield beat Tipp Valley 40-22. This week’s games are all home games for the Wabash County teams. Manchester hosts Rochester, Wabash entertains Tipp Valley, and North Miami travels to Southwood. All games are 7 p.m. kickoffs. The Harness Brothers, Rick and Tim, will be live broadcasting from Northfield as the Norse host Whitko. They will broadcast beginning at 6:50 p.m. with the set up of this long-time TRC matchup. We hope you will join us!!!!! Also, an added feature this week, on Tuesday don’t forget to join the webcast for volleyball action as Southwood hosts Northfield for a great matchup. The Manchester football team pulled out another big road conference win Friday at North Miami, holding the Warriors out of the end zone on a two point conversion attempt with 52.4 left in the game that sealed a 34-33 thriller. The Squires started the game by going four and out, then giving up a North Miami touchdown in the first four minutes before they settled down to play their game. Manchester moved the ball very little on their next possession when they got a break they were looking for. North Miami would fumble the Squire punt with Keelan Norwood recovering on the Warrior 23. Using their running game mixed with a couple short passes the Squires would even the score with 2:53 remaining on a Lucas Schilling keeper from 2 yards out. After the Squire defense held North Miami to start the second, the offense would keep rolling. Schilling would connect with Bailey Ness three times and Daniel Greise once before Jacob Casper scored from 2 yards out to give Manchester a 14-7 lead. North Miami would waste no time getting even when they struck from 57 yards out with 5:01 left to make it 14-14. The Squires would get two more possessions in the quarter and made the second one count when Schilling would find Evan Milam in the end zone as time expired for a 21-14 halftime lead. The Northfield girls’ cross country team placed 2nd in the 28-team West Noble Invitational on Saturday, Sept. 20. Jenna Halderman led the way with a 3rd place finish. Brittany Sloan and Karla Singer also received medals by placing in the top 20. Rounding out the scoring was Natasha Leland, Olivia Thompson, Jacklyn Peas, and Cait Eltzroth. Indi Shear ran a season’s best time. The boys’ team placed 6th. Devin Tracy led the way by placing 12th. Austin Frye and Joe Burcroff each received medals by placing in the top 25. Rounding out the scoring was Austin Andrews, Heath Miller, Mason Zolman, Matt Carey, and Noah Augustus. The junior high had many athletes run season’s best times on the year. The top 5 for the girls included Alyssa McKillip, Abbey Ross, Lz Moore, Bailey Burcroff, and Jenna Krom. The boys’ top 5 included Austin Burns, Peyton Frye, Grant Dale, Jett Snyder, and Evan Eckelberger. The Southwood football team is Going Gold for Childhood Cancer Awareness on Friday, Sept. 26 vs. North Miami! They will be wearing gold socks, shoelaces, and helmet decals in support of their friends and family as well as a member of the Southwood alumni family- Ari Halderman, son of Colby Halderman, a member of the 2002 state championship team battling cancer. The booster club is donating its corn hole proceeds that evening. Southwood Elementary staff will have free gold balloons to give to students at halftime. Balloons will be released when the Knights come back out on the field to finish the game. The PEP (Peers Educating Peers) group also has some neat things planned. The school has had generous sponsors and they would like to thank the following: Snyder Tire and Battery, ART by CC CRABTREE, Carol Knows Hair, Hobbs Lawn Care, Family Chiropractic, Gentry Well and Pump, Keller Accounting, SES staff and SHS staff. Come on out to the game next Friday. Show your support and donate to a great cause. Fans are encouraged to add some GOLD in with your red, gray, and black!! If you would like to read Ari's story, you may visit the blog at http://thelionfights.blogspot.com/2014/09/and-so-it-begins.html?spref=fb. The Southwood Lady Knight golf team made history Saturday, capturing the Huntington sectional to win the first ever girls sectional golf crown for the school. The Lady Knights fired a team score of 365, which was 18 strokes better than second place Huntington. Oak Hill finished third. Claire Barnett of Manchester will also be going to the regional by placing in the top three individuals not on a qualifying team. Dayna Dale led Southwood with an 87. Abby Houlihan added a 92, Danielle Pegg 93, Paige Dempsey 93, Christiana Borner 98. Manchester placed 4th, led by Claire Barnett’s 88. Lydia Little added a 99, Erin Working 105, Madison Hire 114, Gabbi Wilcox 118. Wabash finished 8th, led by Darian Reynolds with a 97. Chelsea George added a 112, Vali Reed 118, Payten Keaffaber 119. Northfield finished 10th. Kandra Stout led the Norse with a 118. Alex Peterson added a 120, Sarah Johnston 122, Anna Driscoll 124. The Lady Knights and Claire Barnett will now compete in the regional next Saturday at Cobblestone Golf Club in the East Noble regional. I’ve been a bit of a slacker thus far in the football season. No excuses other than to say that I have been busy and failed to get back into the journalism groove. Please accept my humble apology! 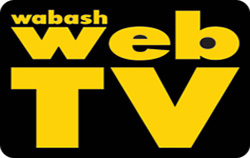 I want to assure you that the Wabash WebTV crew will be on hand to bring all the action from the Wabash County teams from fall throughout the school year. It was a typical inter-county battle at Wabash Thursday night as the Wabash and Northfield volleyball teams went to battle. The Lady Apaches took the first two games before the Norse turned the table, winning the next three for a 21-25, 23-25, 25-18, 25-22, 15-9 win over Wabash. In game one the Norse got off to a quick start with two kills from Tori Snyder and one from Cassidy Miller to lead 3-0 before Wabash went to work. Taking advantage of four straight Norse errors Wabash would score 10 of the next 12 points to grab a 12-6 lead. During the run Wabash got three aces from Katie Ford and a kill from Kristin Cromer. Northfield would cut the Wabash lead to 12-11 when the Apaches ran again. With two kills from Sarah Ritter and an ace from Taylor Whitaker the Apaches would score six straight for an 18-11 lead. At 20-15 Northfield would cut the lead to three with a kill and a block from Snyder, but the Apaches were up for the challenge, holding off the Norse for a 25-21 win. The Southwood offense was clicking on all cylinders Friday, putting up 508 yards of offense and 628 yards of all-purpose yards in a 58-29 route over Tippecanoe Valley. The Knights led 14-7 after the first stop, getting their first score on a Robbie Cole keeper to go up 6-0. Valley would take a 7-6 lead with 4:44 to go before a reverse on the ensuing kick off changed things quickly. Matt Cox fielded the kick off and took off to the right, handing off to Nathan Hollars who raced 82 yards down the left sideline for a touchdown and with the extra point the Knights led 14-7 after one.